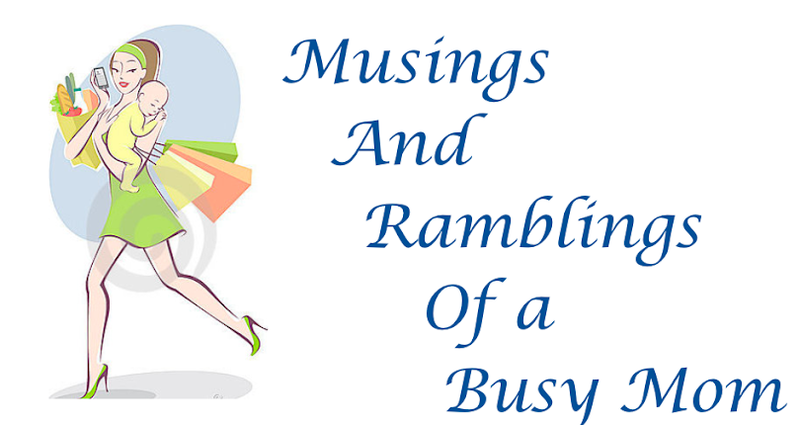 Musings and Ramblings of a Busy Mom: New Addition! Okay, so I have been completely M.I.A these past two weeks, but I have a good excuse! I had my baby!!!! That's right, I am no longer prego! I delivered my little man at 8:13 pm on Sunday September 7th 2014, and it was a whirlwind of a delivery! It all started the morning of the 6th when I woke up and noticed that my face had swelled a lot over night. When I say a lot, I mean A LOT! The size of my face had almost doubled while I slept! It was so bad my husband even noticed (and anyone who spends any amount of time with a man, knows that in general they aren't very observant so this is saying something). The swelling was so bad my husband was concerned enough about it to risk getting his head bitten off and mentioned it to me. After a quick discussion he convinced me to call my doctor just in case, and she told me to come to the hospital now because she wanted to make sure I didn't have pre-eclampsia. So, off my hubby and I went to West Hollywood to get checked out by the doctors. It turns out, I did not have pre-eclampsia (phew), but when my cardiologist ordered an echo and blood work (I have multiple congenital heart defects and have had two open heart surgeries) he found out that my extreme swelling has resulted in water accumulating around my heart (the water has to go somewhere), which was resulting in my heart being put under a lot of stress. All of my doctors discussed what the best plan of action would be and they all agreed that the swelling and fluid accumulation would only get worse the last four weeks of my pregnancy and that there was a chance my heart could go into failure if the stress became too much. The final decision was to induce me the next morning! So 6 am rolled around on Sunday morning and the induction began. The intensity of the contractions varied as they SLOWLY increased the pitocin, I labored without pain medications and I guess I eventually became use to the contractions because I actually fell asleep for quite a while! At 3:15pm my contractions were consistent enough for my water to be broken. Once my doctor broke my water, boy did those contractions start up HARD! I don't even consider all the time before this point true labor because I was doubled over in pain moaning and pacing trying to cope. My nurse was amazing! She was so respectful of my birth plan (and props to my husband for keeping everyone in check when it came to my plan), she spoke in the softest voice, never pressured me for pain medicine, offered me a squat bar to help relieve the pain on my back during contractions, honestly she felt more like a dula than a L&D nurse. And my husband, God bless him, was so kind and attentive. He rubbed my back, lightly tickled my legs, held me during contractions, told me I was beautiful and amazing at the height of the contractions...he even acknowledged that he would have been screaming for an epidural after the first contraction! This continued until about 6 pm when I started feeling a lot of pressure and the doctor was called. After a quick check she said it was show time! Everyone got into position and I began to push, and push, and PUSH! After a while of pushing my doctor noticed that with every push the baby's heart beat would go down a little, and she was concerned that the cord was wrapped around his neck. With our permission she used the vacuum to help get him out while I pushed. One word....OWE!!!! After several more pushes and A LOT of pain our little guy was here!!! He was quickly placed on my chest where he let out one hell of a scream! This was music to my ears since there was concern with him being only 36 weeks that his lungs may not be developed fully. After the initial scream he became very quiet and started looking around. The NICU team took him to do their assessment of him since he was premature. He was perfect! His APGAR was a 9! My husband was crying and so was I, our little guy was finally here and most importantly he was healthy! The NICU team was actually very surprised with how good he was doing, he didn't need to spend any time in the NICU! He weighed 6 lbs 3 oz and was 19 inches long, even four weeks early he was almost as big as his big sister was at birth!! I was also very proud of myself for doing a natural childbirth, and experience I had dreamed about since I was little. It was so amazing to see and feel just how strong of a person I am and exactly what my body is capable of doing! We stayed at the hospital for two days and then went home where we introduced Isabella to her little brother. Our little family is perfect! The following two weeks have been a whirlwind with a bout of jaundice that is not under control, pumping and formula issues that have thankfully been resolved, and just getting use to the new family dynamic. I am so grateful for this new little blessing and the blessing that is my family. I am so grateful for every ones health and for my quick recovery. I am grateful for my amazing hubby for taking two weeks off of work and doing everything he can to help me out and give me a smooth transition to two kids. I am loving this time of my life and can't wait to see what's in store for us now. And I can't wait to get back into a routine!!!! I am a stay at home mom and wife who is addicted to crafting at every opportunity. I try to live my life as naturally and organically as I can (although I admit I'm not perfect) I want nothing more then to leave a better world for my children in every way possible. I live a crazy life chasing after a toddler while expecting our second bundle! I hope you enjoy this journey through my crazy busy life full of friends, family, and of course creativity and crafting!